Heat a large frying pan and add the butter. When the butter begins to brown slightly, add the garlic and sage and cook for a minute or until the sage begins to crisp at the edges. Then add the lemon zest and juice, season with salt and pepper. Remove from the heat. Place the gnocchi and asparagus in the pan of boiling water and cook until the gnocchi rises to the top of the water, approximately 2 -3 minutes. 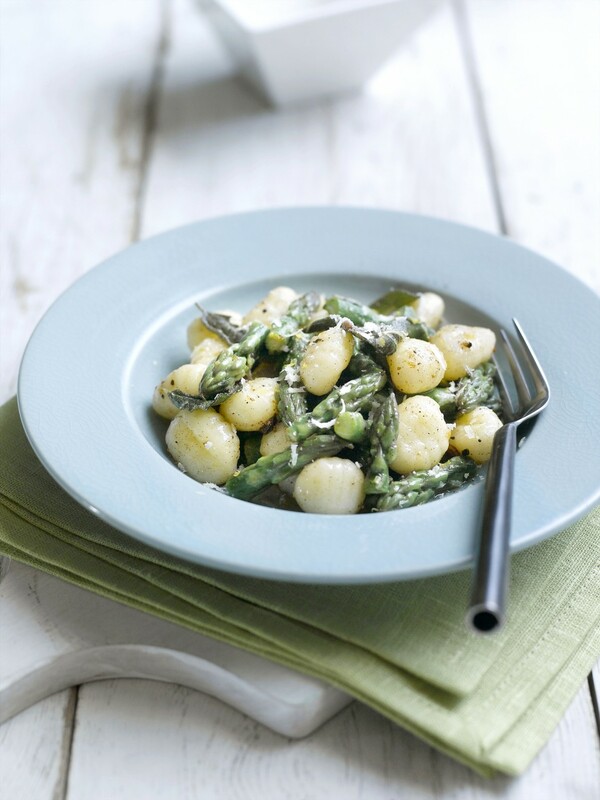 When the gnocchi and asparagus are cooked, strain in a colander, then tip them into the frying pan with the sage and butter, gently toss the pan to make sure the butter coats the gnocchi.